Devaney, J., C. Arthur, N. Condit-Schultz, and K. Nisula. 2015. 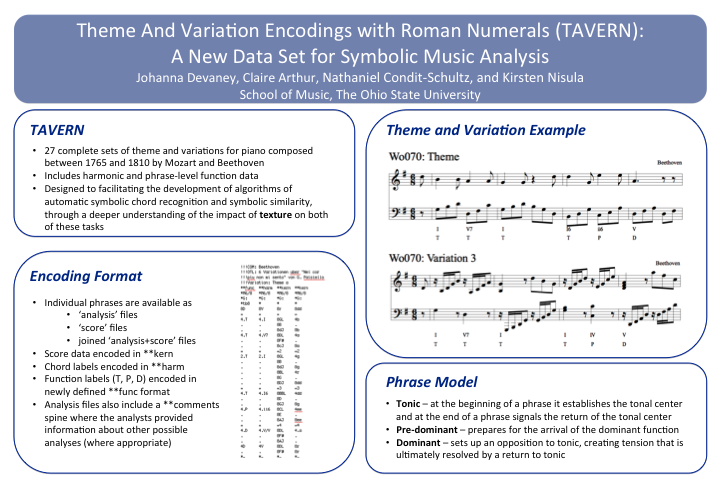 Theme And Variation Encodings with Roman Numerals (TAVERN): A new data set for symbolic music analysis. Proceedings of the International Society of Music Information Retrieval (ISMIR), 728–34. 1) Read about TAVERN in our ISMIR paper: J. Devaney, C. Arthur, N. Condit-Schultz, and K. Nisula. 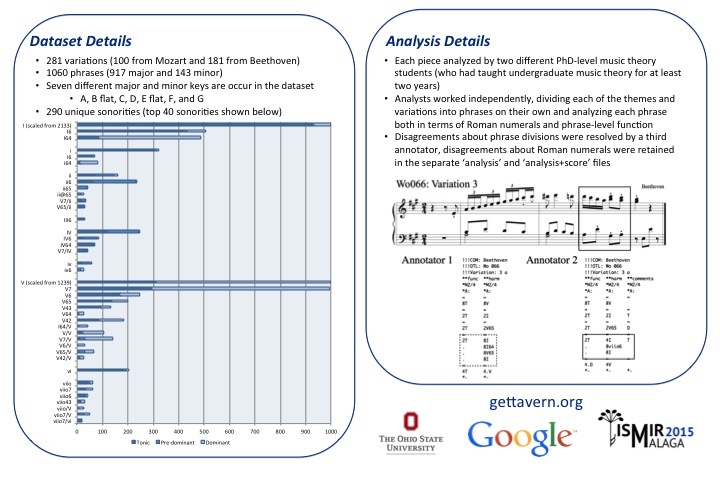 Theme and variation encodings with roman numerals (TAVERN): A new data set for symbolic music analysis. In Proceedings of the International Society of Music Information Retrieval conference , pages 728–34, 2015. 2) See a full listing of TAVERN here. 3) Download TAVERN at github. The ‘Theme and Variations Encodings with Roman Numerals” data set will be available here shortly! Michael Scott Cuthbert on Welcome!